Just Jingle: Simon Says Give Thanks! 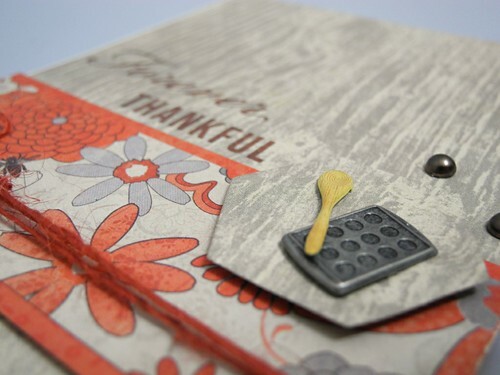 This week we are creating Thanksgiving and Thank You cards over on the Simon Says Stamp Challenge Blog! It's that time of year and a great time to make some really great thank you cards! I decided to play with some super pretty papers and fun embellishments for my card today! I used the beautiful Authentique Carefree 6x6 pad for this card. I just love the gorgeous papers! A few brads and pearls from Eyelet Outlet made the perfect embellishments, too! 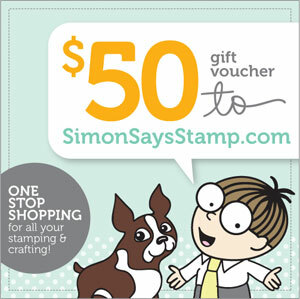 As per usual, the fabulous folks over at Simon Says Stamp are offering one lucky participant a $50 Voucher to the Simon Says Stamp store!!! YAY! To enter, simply create a Thanksgiving card, or, if you don't celebrate Thanksgiving, create a Thank You card and link it up to the Simon Says Stamp Challenge blog by Wed. 21 Nov, 9am Eastern Time! To find the awesome goodies I used on today's card, check out the links below! Adorable card Jennifer!! Love those adorable brads! OH what SWEET baking brads! Love that woodgrain, and who knew there were such cute brads out there? how cute..those eyelets are adorable...love this. Perfect. I love everything about it! totally loving this card. Thanks for sharing. This is so pretty! Love those papers, and the accents are so fun!! Gorgeous card, Jennifer! Those embellishments are so adorable! Fabulous card! Love the colors and design! Beautiful grey and orange combo on your card! That is cute. I have obviously not looked at the brad selection lately-I had no idea they'd gotten so fancy! A fabulous card Jennifer, gorgeous papers and colours - I love those sweet details. Fabulous card, love the baking tray and spoon. oh so pretty!!! LOVE the little accents...adorable!!! You found the perfect embellishments for your card, too cute! love, love Authentique. I made this paper up lots. Beautiful card as always!!! Gorgeous Jennifer...love those pattern papers, I kept starring at them they were so beautiful..